MWN Blog: It's a bird! It's a plane! No, it's Supermoon! If you think there seem to be a lot of supermoons lately, you are right. But in the case of tonight, none have been more "super." Due to its historical significance and perfect viewing conditions, we rate this one a "must see!" Full moons vary in size because the Moon's orbit is not a circle, it's an ellipse. One side of the Moon's orbit, called "perigee," is 50,000 km closer to Earth than the other side, "apogee." This Monday's "supermoon" becomes full about 2 hours away from perigee, a coincidence that makes it as much as 14% bigger and 30% brighter than lesser moons we have seen in the past. In other words, the full moon, which is naturally the largest visually due to full illumination, will also be near its closest point of approach to Earth while full. The last 3 full moons of 2016 are all "supermoons" as they all occur at or very near the moon's perigee. However, because the moon's orbit varies slightly, this perigee is closer than October's or December's - so the moon is even closer than the other supermoons to end 2016. In fact, it's within just 85 miles of the closest it can possibly come to Earth! This will be the "super-est" of moons since 1948, or 68 years ago, and it won't be this close again for another 18 years! When should I go take a look? Anytime during the moon's passage tonight will be great, but consider times nearest moonrise and moonset (see pertinent times below), when the moon already appears large due to the moon illusion which makes it appear bigger when near the horizon than when overhead. 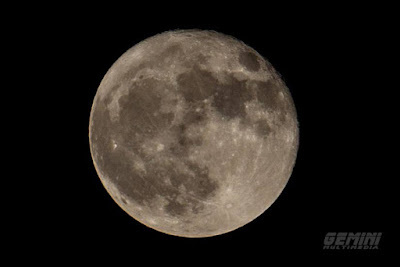 In addition, the actual time of the full moon is 7:52am Monday, so viewing it closer to Monday morning's moonset time will make for a fuller moon than this evening (though the actual difference is almost imperceptible). If you miss it tonight or tomorrow morning, Monday evening will afford another good opportunity as the moon will still be nearly full and skies should still be mostly clear. More information can be found in this article on EarthSky.org. ANd be sure to share any pics you take of the Supermoon with us! I'm looking forward to checking out the "Superest of the Supermoons" tonight as well!